"You don't have to fight the world on your own you know...."
Okay so I'm hoping this site will be good and not only be about Slade and Ebony but Matt and Meryl, yeah? 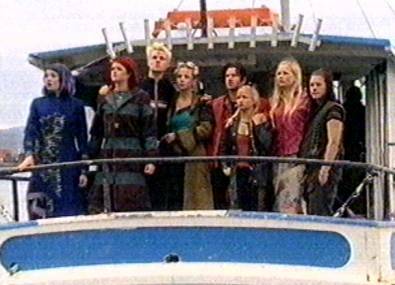 26/7/2003 - Just saw Episode 20 and it was like WOAH! so I got inspiration to finish this site cause Slade and Ebony where like, TOTALLY GETTING IT TOGETHER! 6/8/2003 - Okay added Trillions more pictures and updated Slebony profile! I will do the next absolutely MAJOR update after The Tribe series 5 when all pictures etc are up of Slebony and we know more about Slebony's future! 24/9/2003 - Whooo! Rest of the Series 5 pictures up, There will be a new gallery up soon with pictures of Matt and Meryl together on tour and behind the scenes and stuff! Plus I've just down the odd random updates. If there's anything I've missed out give me a contact! PLus have a look at the Quotes Page!! 26/9/2003 - Check the Fan-Fic page! !